Jesus and his followers went to the towns in the area of Caesarea Philippi. 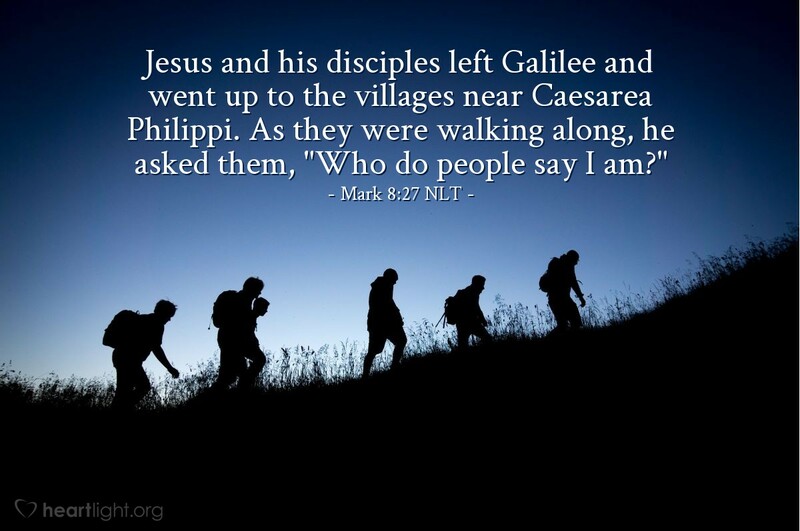 While they were traveling, Jesus asked the followers, "Who do people say I am?" If you ask people today who they think Jesus is, you will get a myriad of answers. Many folks don't know and quite a few don't care. The lost world's greatest need is for Jesus' followers to both know who he really is and demonstrate it in our lives! O Father in heaven, help us—and especially help me—better demonstrate who Jesus is to those around us. In Jesus name I pray. Amen.